Looking for advice on Big Island activities? Hawaii's Big Island has so much to do, there's really something for everyone! 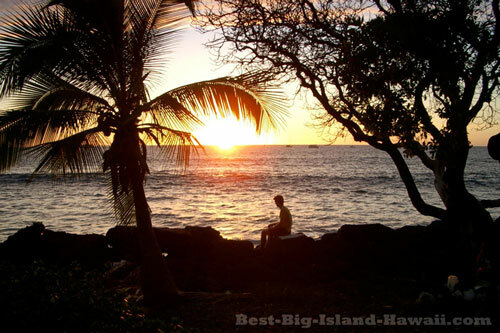 Deciding what kind of activities you want to do is an important part of planning your trip to the Big Island. Whether you're looking for action or relaxation. Hawaii has it all and the Big Island offers you the best of the Hawaiian experience. How you plan your activities can make or break your time on the Big Island. Some people like to plan every detail and have it all organized ahead of time. I've always been more likely to plan as I go. But after spending time in Hawaii, I discovered the benefit of planning ahead... At least a little bit. My best advice for enjoying the best Big Island activities? Plan the things you most want to do ahead of time. I don't mean that you need a daily schedule (be sure to get into the "we'll get there when we get there" island attitude too). But, deciding on and planning ahead for the things you think you will absolutely want to do will save you a lot of time. For example, did you know that you need a permit from the State of Hawaii to land kayaks near the Captain Cook monument in Kealkekua Bay if you want to go snorkeling there? So, there are definitely some Big Island activities that take some planning ahead of time. Some great activities like checking out waterfalls or watching the beautiful Hawaiian sunset don't take much planning. But some activities need to be booked and just about every Big Island activity that requires a booking can be arranged well ahead of time. Take advantage of this and book some of your most important Big Island activities before you go. Whether its surfing, a helicopter tour, a breath-taking hike or an ocean-side round of golf - By planning and booking your "must-do" activities ahead of time, you will cut out the stress of last minute scrambling to make a booking that you could have done ahead of time. When you arrive on the Big Island, you'll find activity guides and "Things To Do" brochures everywhere. Even though I spent months on the Big Island, my free time was precious to me. So I found it annoying when, instead of being out and enjoying the island, I was sitting around on the phone, pouring over lists of activities and phone numbers. Get the best of both worlds—Plan ahead for the things you most want to do leave room to do the last minute things that don't require much planning or the new ideas you're sure to come up with after you arrive. 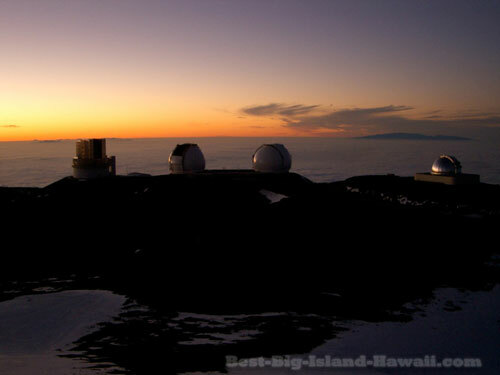 Also, don't miss the section of this site on specific Places to See on the Big Island including unique and memorable locations like the summit of Mauna Kea and beautiful Waipio Valley. The board sport like no other. Its ten times more fun than it looks on TV. Learning how to surf is one of the best experiences I've ever had. But I found out that trying to surf somewhere you've never been can be intimidating. Let me tell you all about surfing on the Big Island. Its challenging but amazing and anyone can learn! Explore the Big Island's clear warm waters and check out some of the hundreds of colorful fish and plants that thrive on pristine coral reefs. Accessible snorkeling spots make this a fun activity for all ages! Kayaking on the Big Island is a great solo activity or something fun for entire family or group. Getting started is easy and there are several fantastic spots around the island. A kayak is a great way to access snorkeling spots too! On a dot in the middle of the ocean and far from pollution, the stargazing on the Big Island is amazing. Get an incredible view of the night sky and check out the free stargazing programs offered on Mauna Kea. 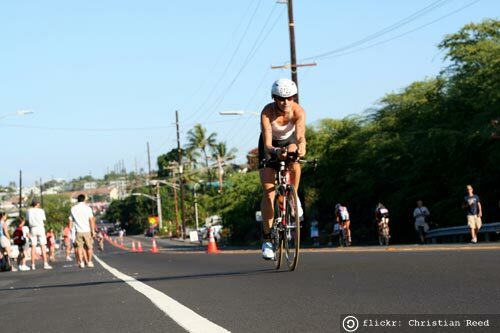 Every October, Kailua-Kona hosts the Ironman World Championship race where elite triathletes swim, bike and run a 140.6 mile course along the Kona side of the Big Island. It's a great event for participants, spectators and volunteers. 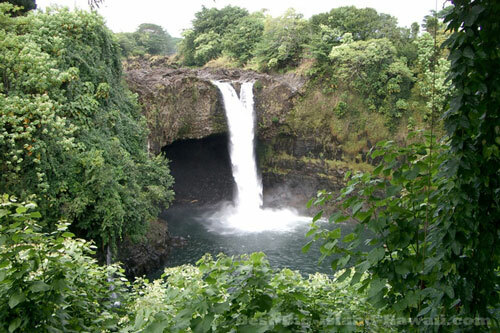 There are spectacular waterfalls all over the Big Island's lush green landscape. Explore some accessible and out of the way falls. A spectacular sunset decorates the sky every evening on the Kona side of the Big Island. Here's how to get the most out of the sunsets plus some pictures for a preview.